One of the most popular forms of travel today is RVs and campers. And while they’re the perfect home-on-the-road, you probably still spend a lot more time at home than you do on the road. It’s important to provide the proper protection for your motorhome when you aren’t out traveling. Our vertical roof RV covers are exactly what you need; they are affordable, durable, versatile, and reliable. Vertical roofs are the best option for customers who reside in areas that may experience more challenging weather conditions such as high winds and heavy snowfall. The vertical-oriented paneling helps snow, leaves, rain, and other debris easily slide right off the roof and away from the structure. And with such a rugged design, there’s no need to worry about your RV carport blowing over. Along with the paneling, these structures are installed with ridge caps and a hat channel that provide additional stability and protection. The most common use for RV covers is to shelter an RV, camper, or trailer from the elements. However, many customers exercise the freedom to adapt their new structure to suit more specialized needs as well. For example, you can enclose your new RV cover with additional paneling to make it into a fully-enclosed metal garage. This provides even more secure protection than an open-air cover, while also allowing space to perform maintenance or repairs. And if you’d like to protect your other vehicles as well, we can always install an additional lean-to. Our vertical RV carports are engineered with flexible designs, enabling our customers to put their imagination to the test and fulfill any need they may have. No two customers have the same needs and requirements, that is why we provide a variety of customization options to choose from. We want you to love your new vertical metal RV cover! We have up to 18 available color options, depending on your location and manufacturer, free of charge! You could also opt for our deluxe, two-tone package. Our panels are 3’ wide and are offered as an additional option for our 21’, 26’, 31’, and 36’ lengths only. Having additional panels installed to fully-enclose your new RV cover will supply better protection. This also provides you with a sheltered area for you to perform needed maintenance or repairs. Your roof is one of the first, and most important, steps to designing your metal RV carport. We have three styles to choose from with Carport Central: regular, A-frame (boxed-eave), and vertical. If you live in an area that experiences moderate weather conditions, a regular roof is a good choice for your structure. It is installed with horizontal paneling, and is our most economical option. The A-frame roof style, also known as boxed-eave, is a common choice among customers. Like the regular roof, it is installed with horizontal panels and provides reliable protection. It is recommended for areas that may have some high winds, but not heavy precipitation. No matter the style or size of your metal structure, natural lighting is always a great option. We offer a standard 30”x30” window size, which can be installed anywhere on your metal carport. There are other sizes available, but they vary by location. One of our friendly building specialists can provide more information on this customization option. These are only a few of the many customization options we offer; for more information just give one of our professional building specialists a call today. We’re more than happy to help! You need to have a level space for your new structure to be installed on. Check with your local municipality to see if local building codes require you to obtain a permit for such a facility. Be sure to inform your building specialist if one is required. Will you need to certify your new structure? Depending on your area and the weather there, you may or may not need to have your building certified. A certified structure is one that has been engineered to meet local wind and snow ratings. Your local ordinances can provide more information. Every company in the metal building industry is different and unique in their own ways, including their prices. However, no matter where you go, the price of your unit will always be affected by several factors: the size, installation site, added customizations, and the building manufacturer. We partner with quality local manufacturers across the country, each having their own pricing sheets. After considering the mentioned factors and using the right pricing sheet, we can finalize the price of your new metal structure. Our standard size starts at a 12’W x 21’L for $1,400 and can go to any size you may desire. If you would like assistance designing your structure, just call (844) 860-4950 to speak with one of our knowledgeable building specialists. 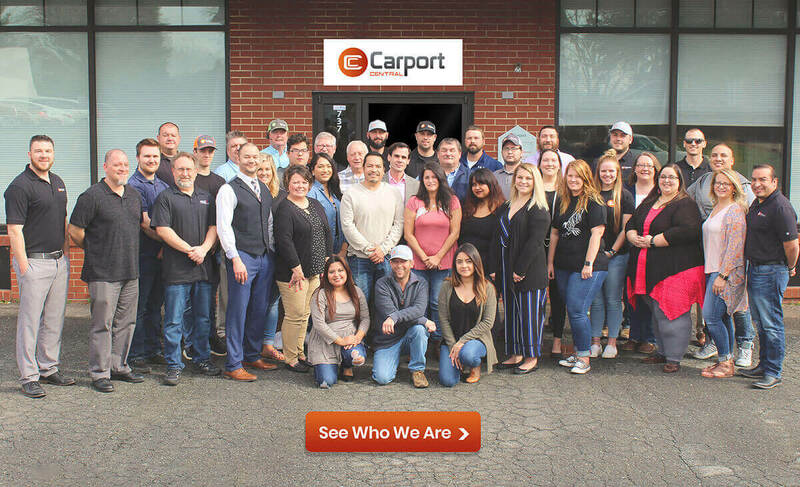 Customer satisfaction is #1 at Carport Central. We are determined to find the perfect solution for all our customers, suited to their needs AND budget! The question you need to ask yourself today is, “How long can I afford NOT to invest in a metal shelter to protect my RV investment?” Let us help you, contact us today at (844) 860-4950 or check us out online!